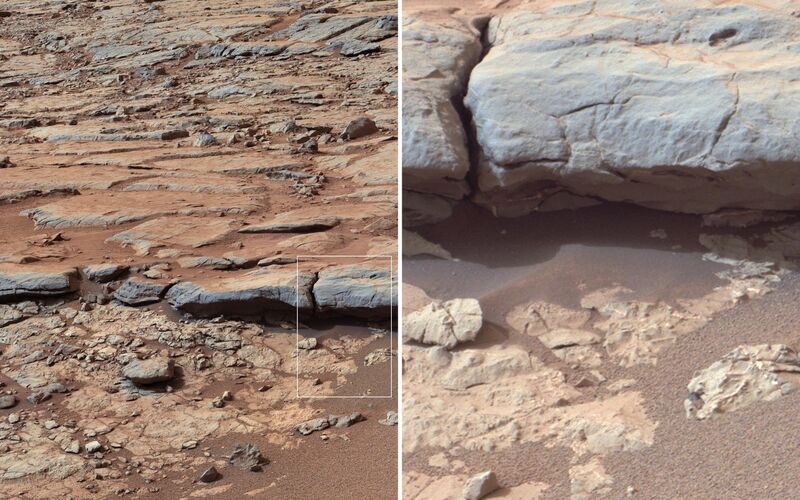 The right Mast Camera (Mastcam) of NASA's Curiosity Mars rover provided this view of the lower stratigraphy at "Yellowknife Bay" inside Gale Crater on Mars. The rectangle superimposed on the left image shows the location of the enlarged portion on the right. 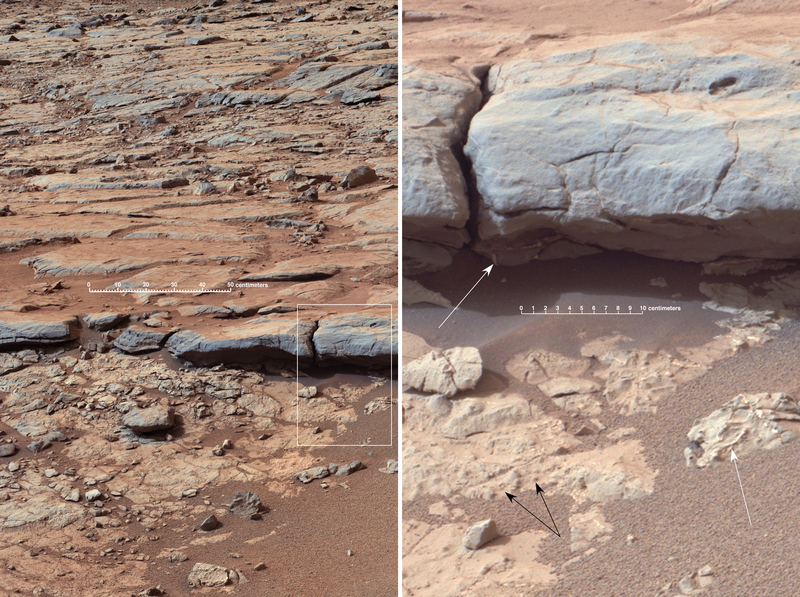 In the right image, white arrows point to veins (including some under the overhang), and black arrows point to concretions (small spherical concentrations of minerals). Both veins and concretions strongly suggest precipitation of minerals from water. The scale bar in the left image is 50 centimeters (19.7 inches) long. The scale bar in the right image is 10 centimeters (3.9 inches) long. Mastcam recorded this view in the morning of the 137th Martian day, or sol, of Curiosity's surface operations (Dec. 24, 2012). The image has been white-balanced to show what the rocks would look like if they were on Earth.